So a few weeks ago I got into some twitter debates after I – not uncharacteristically – stated that, in my opinion, practicing acute care today without using/learning POCUS is unethical. Now I was hasty, and, in my wording did not exclude those docs who simply do not have access to the technology, and I apologize for that. For the rest, however, I totally stand by my words. Unless you think that the addition of ultrasonography cannot perform more accurate and rapid diagnoses than you can with your inspection/palpation/percussion/auscultation, you cannot rule against POCUS. Now if you actually believe that, the corollary would be to never ask for an echocardiogram, abdo-pelvic ultrasound, etc… Not too many takers. Thats what I thought. What you can challenge, however, is the process of POCUS, meaning how do you get Dr. John Doe competent enough to make a call of pathology X (for the diagnostic aspect) and how do we clinically integrate and act on the POCUS findings, many of them being “new” from increased sensitivity, what do they mean, what does their evolution mean? Many good questions there. That’s why I lament the entire debate around POCUS. These smart people should focus their neurons on helping us fine-tune POCUS instead. POCUS is a huge, exploding field. I’m pretty POCUS-comfortable, but don’t ask me to start looking at bones and tendons and ligaments and a myriad of other applications. There’s not much in the body we can’t get some ultrasound into, so all those represent areas of additional information to be assessed. The education process is also clearly in need. I’m on a panel of the Quebec College of Physicians whose mission is to put some parameters around POCUS. There’s no holding it back, it’s just about getting it going in the right direction. It’s like anything else in medicine. We have no perfect tools, because we are working with a hypercomplex system with many variables. And speed. Anyone interested can scan thru the POCUS cases on my blog, and what you see every time is the speed and accuracy that POCUS brings. Studies are hard, and complex. POCUS is not a single intervention, so measuring impact is difficult. Let’s say we have a septic patient with an obstructed kidney. 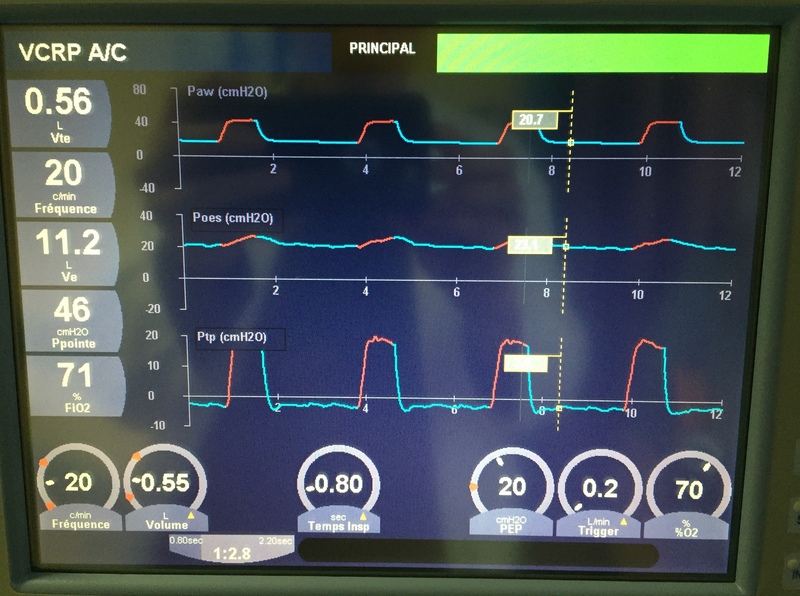 POCUS will assess the hemodynamics, guide fluid resuscitation and inotrope use, but also find the probable source quickly, then perhaps make sure there is no gastric distension prior to intubation, confirm ETT and CVC placement, and more as the evolution goes. How do you make an RCT around that? It is, however, a good idea to validate every aspect (which has essentially been done already, but certainly there is more to do). 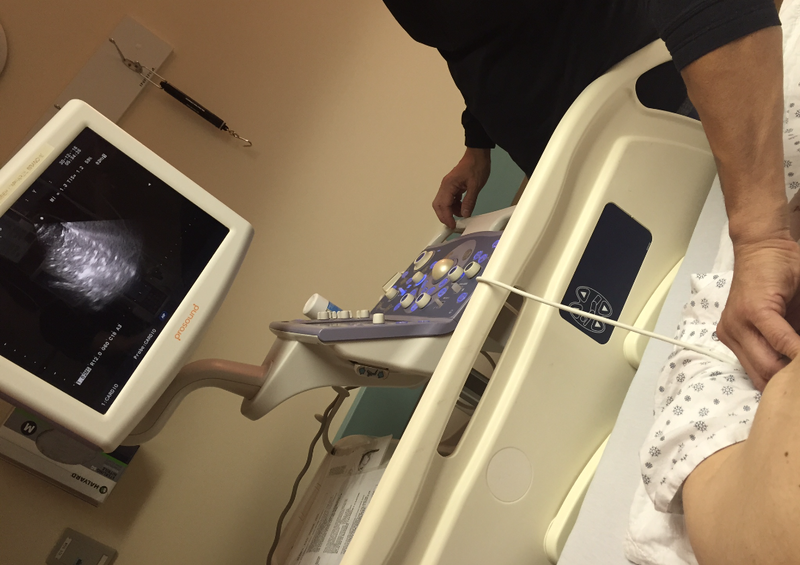 Sadly, most of the naysayers, in my experience, are not echo-competent and likely don’t want to feel like med students all over again, learning a complex skill from scratch, and instead are crossing their fingers hoping that somehow, ultrasonography will be discredited… Yup, it’s not just a river in Egypt. POCUS is a work in progress. It won’t go away. Hop on and give us a hand. Your patients will benefit. 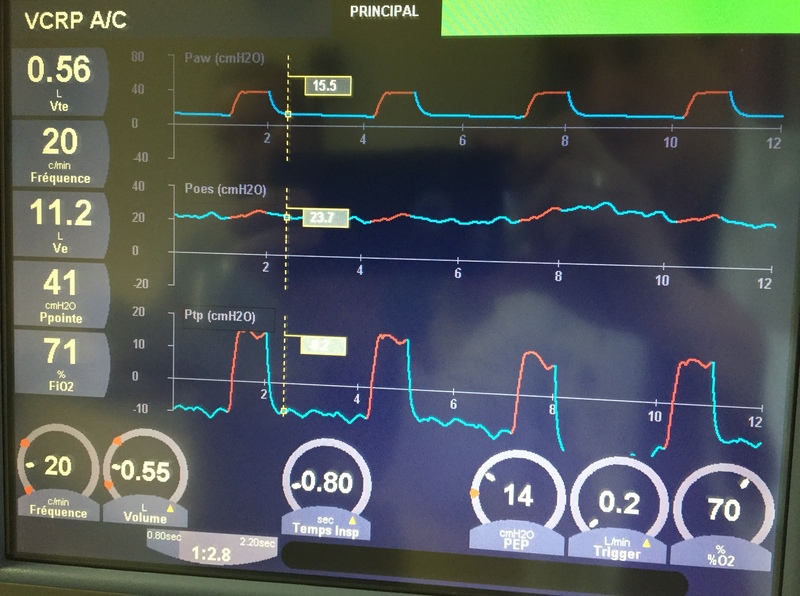 So last night, an interesting call from the ED about a 50 year old man who presented with a 3 week history of increasing dyspnea, leg edema, temp of 39, a lactate of 3.9, an INR of 1.7, elevated LFTs and a WBC of 18, but a BP of 130/75. He revealed a past history of untreated hypertention, and a flu-like illness 3-4weeks ago. 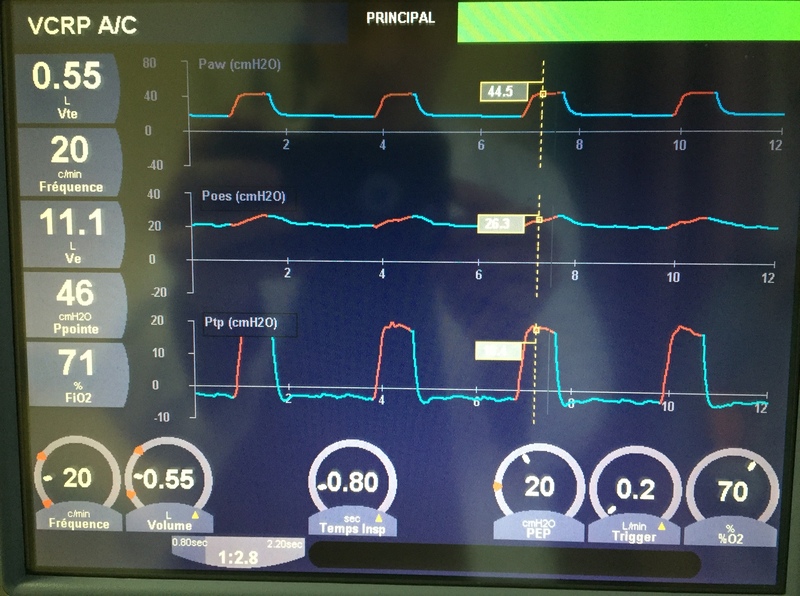 What’s the diagnosis (-es) and management? Answers & Clinical evolution in part 2 tomorrow! So a 72 year old man is brought to the ER after collapsing at home. His family had noted weight loss in the last months, and recently some fever and general weakness. His HR is 108, T 38.8, BP 80/40, GCS 14 – somnolent – he is in lactic acidosis (4.5) and renal failure (cr 180 – baseline 120), with some vague abdominal pain, a clear chest and warm extremities. What is the main diagnosis? So the clip shows fairly severe hydronephrosis, the “bear paw” with very dilated calyces. The patient was suffering from obstructed pyelonephritis due to massive retroperitoneal adenopathy later found to be lymphoma. A couple of hours later he got a nephrostomy tube to take care of the septic source (double J could not pass) and his sepsis resolved within a few days, and he headed off to chemo for the NHL. The advantage of POCUS here is. once again, the speed of diagnosis. He went straight from CT to the readied urologists and source control happened within a couple of hours. His relatively benign abdomen may not have prompted a rapid CT otherwise. 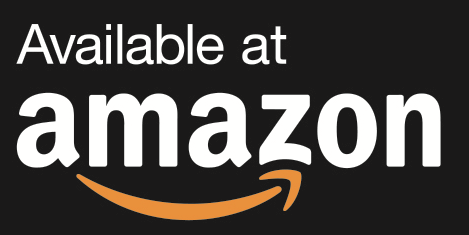 See here for more POCUS! So a few years ago I had a patient in the ICU, post op for some abdominal surgery, and, using POCUS, I detected a hyper echoic area in the liver, in a wedge shape. I scanned the patient and, lo and behold, there was a matching area of air-filled hepatic venous sinuses on CT scan. Well, my surgical colleague and I were very concerned and proceeded to inform the patient he would be needing exploratory surgery for what was likely ischémie bowel. He essentially – though in more polite words – told us we were idiots and that his belly felt fine and he didn’t think surgery would be needed at all. His belly did feel fine. So were his labs. So we worried, but, given this whole thing about free will and consent, etc, couldn’t very well force him into what we felt was necessary surgery. The next day he was fine. 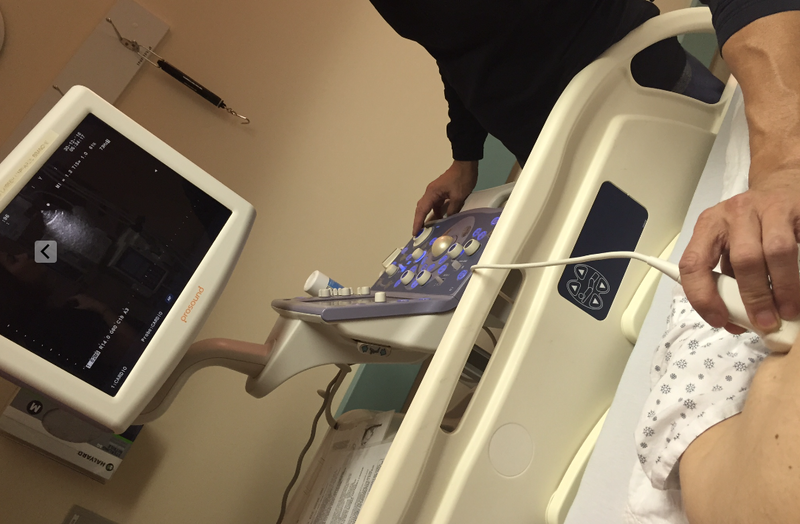 On POCUS, the area of air had shrunk. The next day, it was gone altogether. We thanked him for his keen clinical acumen and for teaching us a good lesson. So over the next few years we saw a few of these cases, sometimes bad, sometimes not, and a review of the literature (see below) showed an interesting evolution of the disease. Described in the 1950’s on plain films, hepatic air was a bad omen indeed, with mortality in the 75-90% range. In the CT era, the mortality started to “drop” to the 35-60% range. Now you can find quite a few reports of “surprisingly” good outcomes with conservative management. 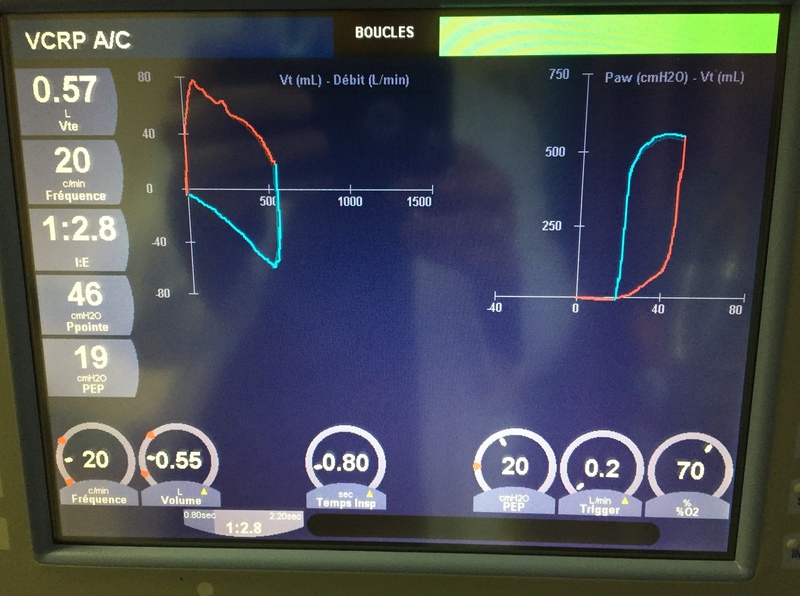 So this evolution doesn’t represent a change in severity so much as the technological capability to detect smaller and smaller amounts of air in the venous system – just increased sensitivity. 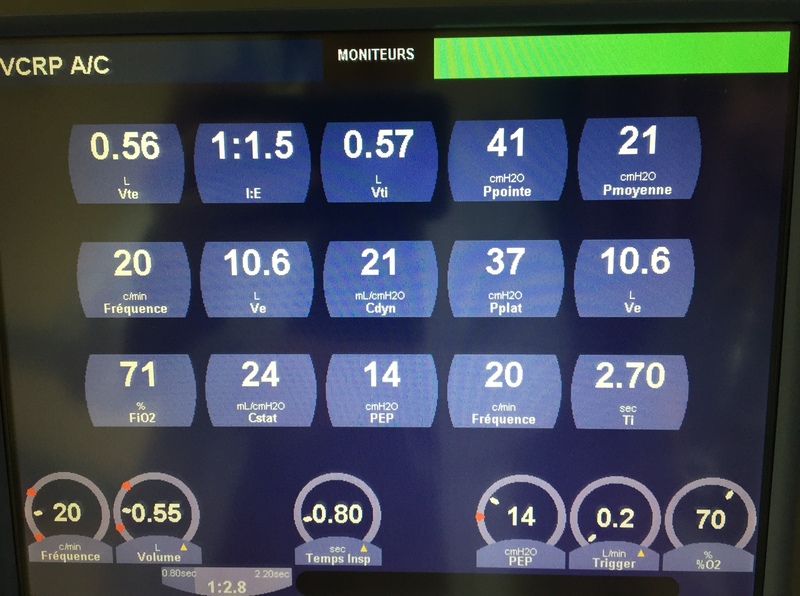 And now, with POCUS – ultrasound is the most sensitive detector of air in a vascular tree – the associated mortality is likely to take another drop, not only because of our ability to detect very small amounts of air, but also because we are actually looking at the area, and also in a wider range of patient’ pathologies that those commonly associated with HPVG. Clinical Case: HPVG and PE! So here the source of the problem is pretty clear, a large common femoral DVT. She wasn’t very echogenic so I don’t have great clips of the heart but she had a dilated and hypocontractile RV with a McConnell’s sign (preserved apical contraction), small and hyper dynamic LV with septal flattening. You can clearly see bubbles traveling up the portal vein. Ominous, or not? So the severe RV obstruction resulted in significant venous congestion. Additionally, the decreased cardiac output – as manifested by a lactate of 4 and mild tachycardia/hypotension (110 HR, BP sys 90’s) was clear. The etiology of HPVG in the literature isn’t clear – mucosal disruption, bacterial gas are all mentioned but as far as I could find, no definitive answer. This would explain the benign course of many patients, particularily those with gastric dilation. Based on hemodynamics, tachypnea and, to some degree, venous congestion, I decided to thrombolyse her using 1/2 dose lytics. 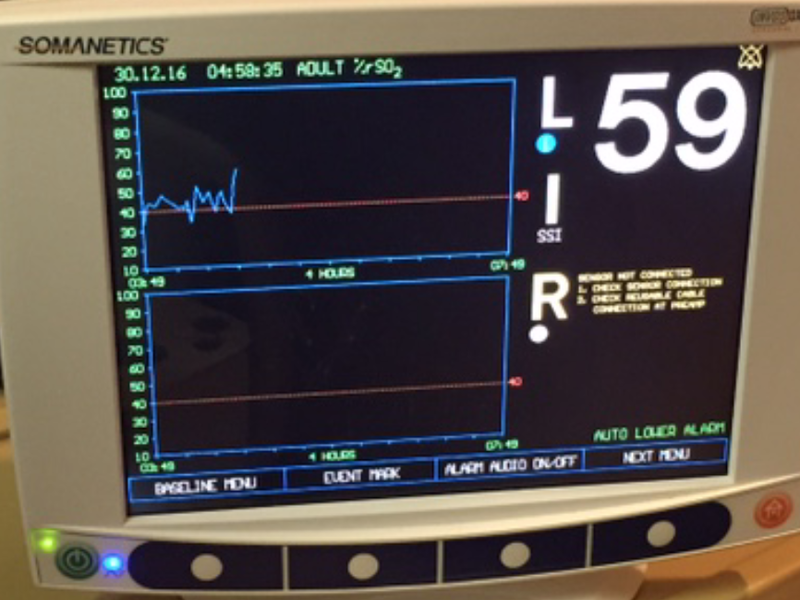 Within a couple of hours her HR decreased to the 90’s and BP rose to 110 systolic. Echographically, however, the IVC/RV findings remained similar, but the HPVG decreased. By the next day, HPVG was altogether gone, lactate had resolved and dyspnea was significantly better. HPVG, although not quite as poor a prognostic sign as once thought, nonetheless warrants concern and investigation, even if the abdominal exam is entirely normal and without symptomatology, as correction of an underlying cause of “benign” HPVG (whether low-flow or bowel distension) would still need to be addressed. 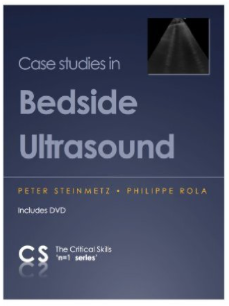 In the meantime, I suspect that, reported or not, this has been noted by other POCUS enthusiasts, since we are now looking more frequently at this area, and are dealing with patients with low-flow states, congestion, bowel obstruction/ileus or more than one of these. Hopefully some investigators will take a look at this phenomenon and delineate the pathophysiological mechanism! Love to hear of your experience with this. 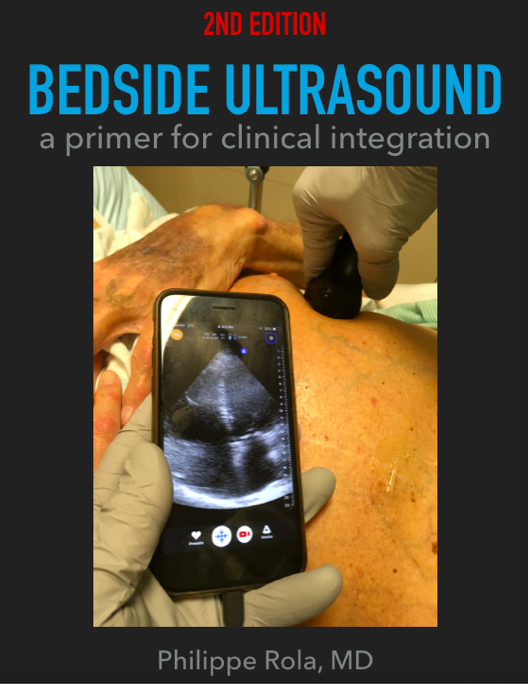 For those interested in POCUS, see here for a quick read primer on clinical applications of POCUS. So I get a call from a colleague in the ED at about 2am, telling me about a 39 yr old woman post-arrest. So I start putting on my boots and warming up the car (it’s January in Montreal folks). Apparently she had presented earlier in severe acidosis, the diagnosis is unclear, but she apparently got 2 units for an Hb of 49, then went into respiratory failure and got intubated. She arrested about 30 minutes later, cause unknown. I tell the ICU to prepare a bed but I want to see her in the ED first. 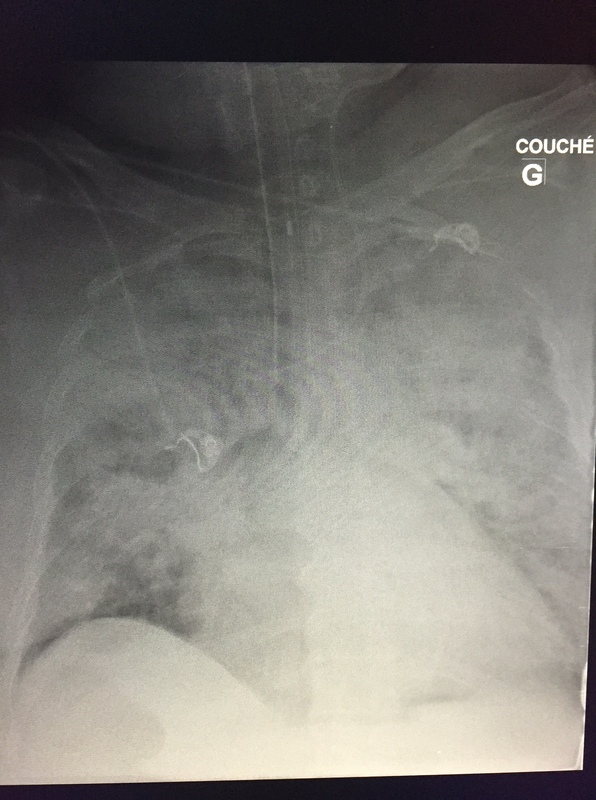 Twenty minutes later I put probe to patient and see a full IVC with spontaneous echo contrast. 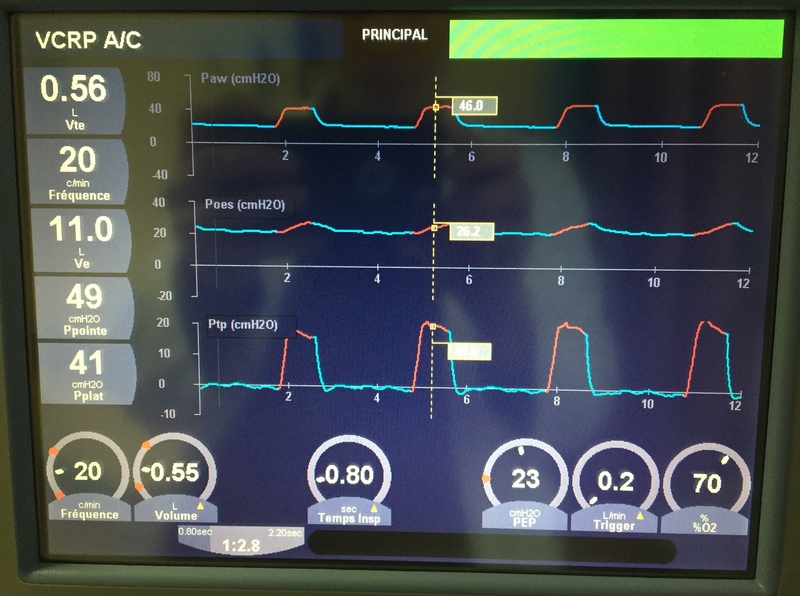 On that I tell the nurse to hold the fluids – there was a bag and tubing and a pump with 100ml/hr on it – and turn into a subxiphoid view to see a normal RV and a hypokinetic LV with some WMAs. She has marked consolidations in both posterior lung fields and B lines laterally, with small effusions and dynamic air bronchograms (indicating patent airways). At this point she has a HR of about 120, but there is neither perceptible BP (by NIBP) nor saturation. She’s on levophed at 20mcg. She’s about an hour post arrest which was witnessed and brief (<10min to ROSC). The theories about the arrest are possible hyperkalemia: she was intubated with succinylcholine before the K of 6.1 was back from the lab, and her pre-intubation pH was 7.0, and post-intubation she was only ventilated at 400 x 18, possibly precipitating a drop in pH and a rise in K. Her EKG had some nonspecific signs at this point, but also a poor anterior R wave. So with a BP of 59/44 (ignore the 100/46, not sure whose arm that was on!) I start epinephrine, as the POCUS is similar, as I want some added beta-agonism. ScVO2 matches SctO2 in the 40’s. 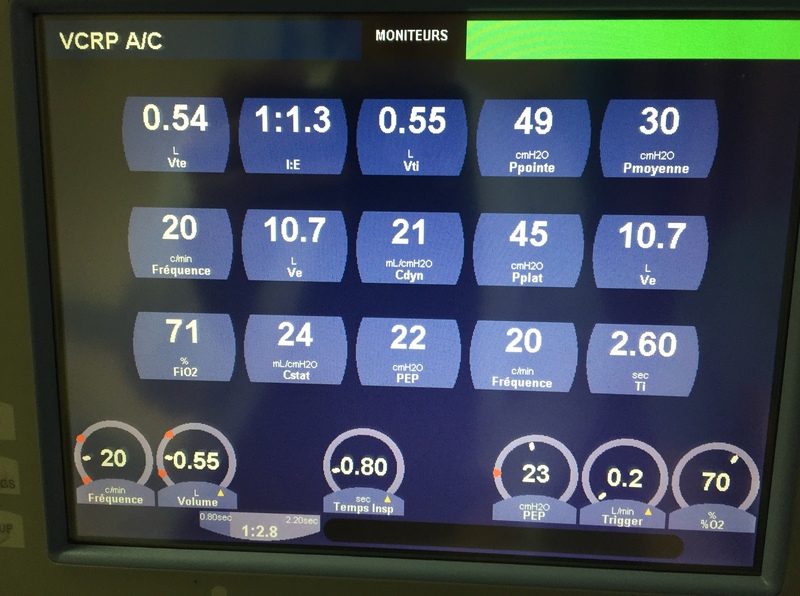 We get the BP up the the 90-1oo range, the ETCO2 goes to 30, the SctO2 and ScVo2 go up into the high 40’s, which is very reassuring, because with this I know that my epi drip is improving perfusion and NOT over-vasoconstricting. 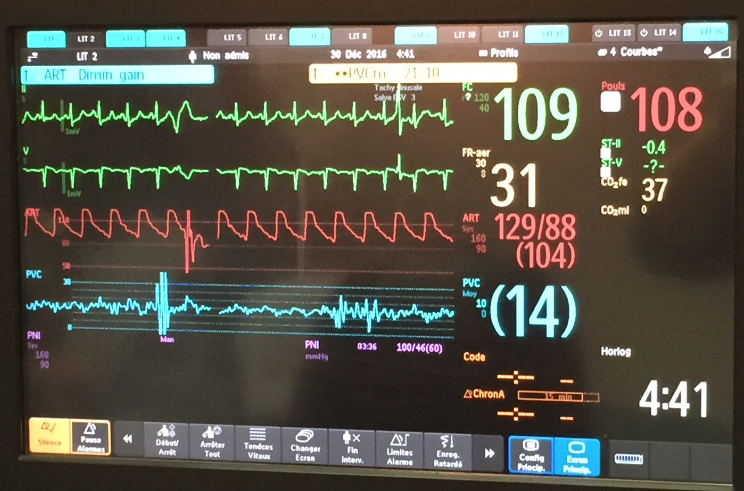 Without looking at a real-time tissue perfusion index of some sort or other, it is nearly impossible to know rapidly whether your therapy is helping or harming (will discuss tissue saturation & resuscitation monitoring in more detail in another post sometime soon). So now the sat finally starts to record in the low 60’s. 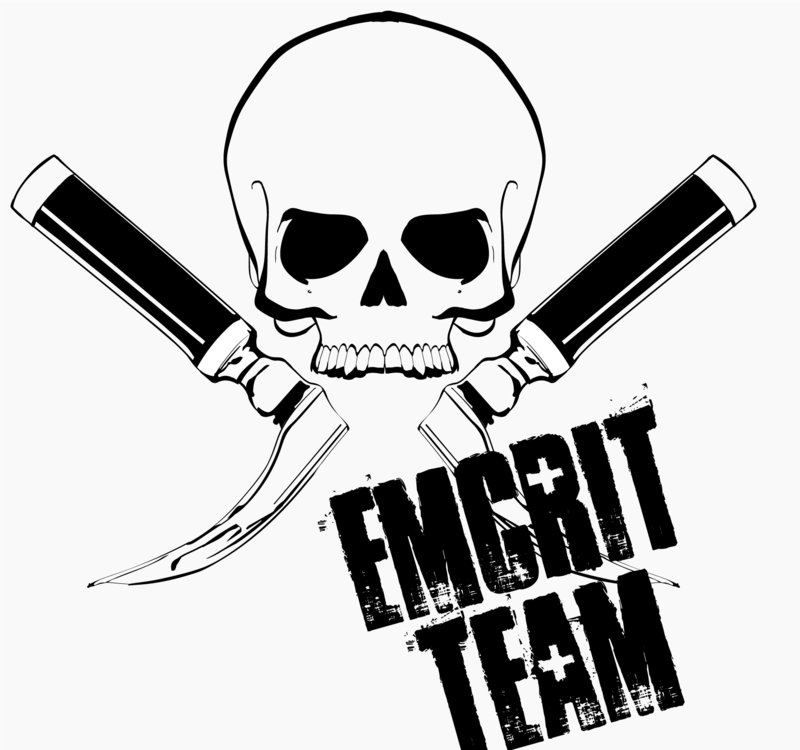 We have a PEEP of 5, so start bringing it up. We hit 16 before the BP starts to drop, and that only gets us to the mid 70’s sat%. She actually squeezes my hand to command. At this point I take a few seconds to recap in my mind. I’d spoken to the husband briefly and she had had recurrent episodes of feeling unwell with headache, nausea and diaphoresis, and that had been out for dinner earlier and she felt fine until later in the evening when this came on and eventually brought her to hospital. There was also a notion of hypertension at an ER visit a couple of weeks ago. Her history was otherwise not significant. Nonsmoker. Pheo? Maybe, but shock? I repeat the EKG, and now, in I and AVL, there is perhaps a 1mm ST elevation. She’s 39 and essentially dying. Lactate comes back >15, pH 6.9. I give her a few more amps of NaHCO3. You can see the BP respond to each amp. 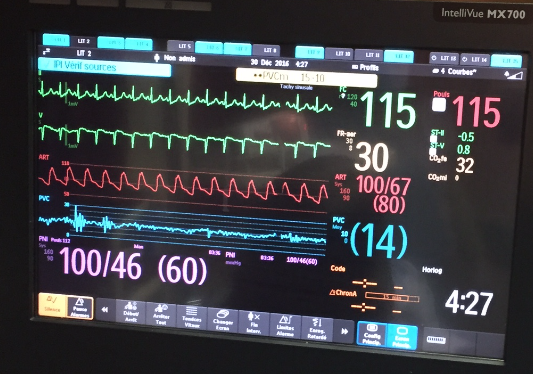 I decide we need to go to the cath lab and get the cardiologist on call to get on the horn with the interventional team at a nearby hospital with a cath lab and ECMO, which is what I think she needs. Hb comes back at 116, making that initial 49 that prompted 2 PRBCs probably a technical or lab error…very unfortunate. There are no visible signs of significant bleeding. But back to the patient, because this isn’t really a transferrable case. 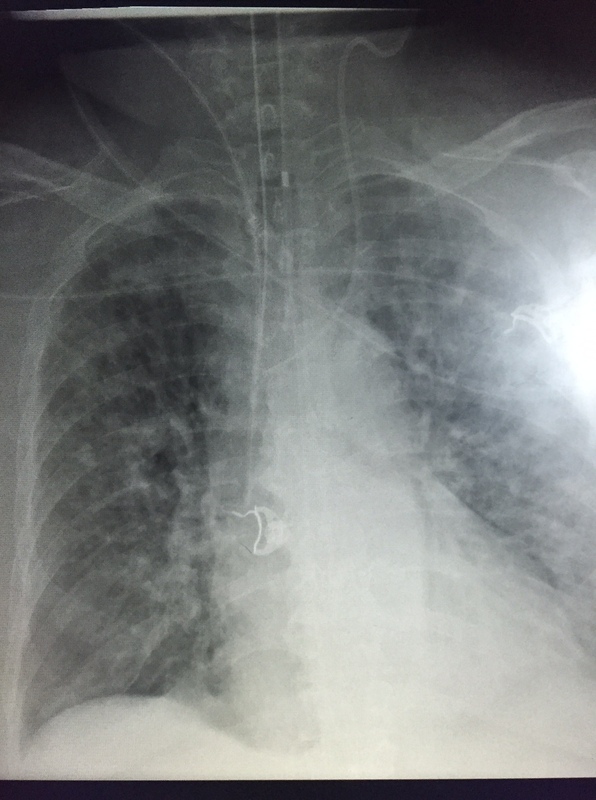 Recap: a 39yr old woman in cardiogenic shock AND in severe congestive heart failure exacerbated by fluids and packed red cells, with a PO2 in the 40’s and sat in the 70’s. So I decide to prone her. Along with draining tamponades, this had to be one of the most rapid and rewarding maneuvers I’ve done. There was a scry drop of sat to the 40’s for a few seconds (may have been a technical thing), but then within a few minutes: BP to the 130’s, SctO2 to 59% and sat 100%! We dropped the vasopressors, the FiO2, and all breathed a collective sigh of relief. Now for the novices out there, prone ventilation improves VQ mismatch by moving perfusion from diseased, posterior lung fields to now-dependant, relatively healthy, anterior lung fields. So transfer at this point was in the works. I planned to leave her prone until the last minute. The miraculous effect started to slowly wane within about 30 minutes, with sat and BP creeping down. At the time of transfer, we were back up to 80% FiO2. So in the still shots, you see a pristine “A” profile (normal, no edema) from the patient’s back, and a severe consolidation or “C” profile with ultrasound bronchograms in the antero-lateral (now dependant) chest. Impressive. (for those wanting some POCUS pearls see other posts and here). This is the reverse of her initial POCUS exam. So we flipped her back and transported her – lights & sirens – the the cath lab, where they were waiting with ECMO cannulae. 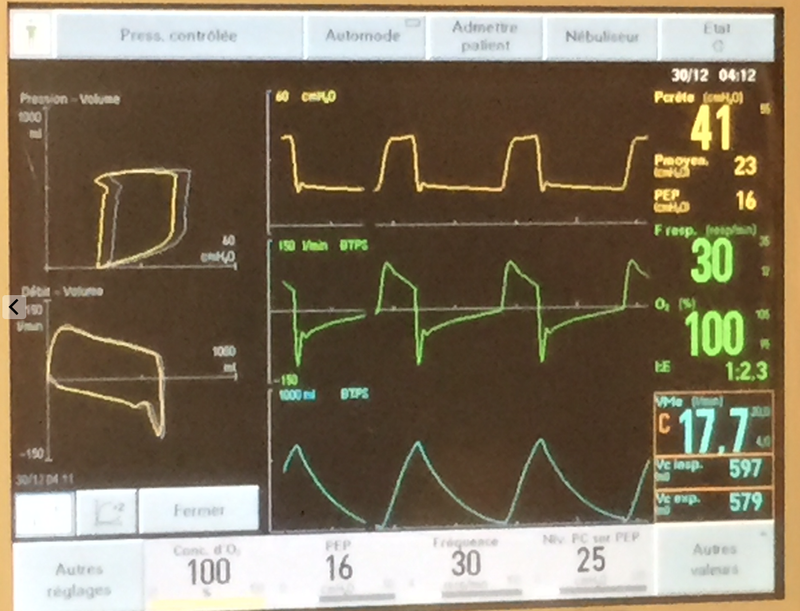 As an aside, it was quite refreshing to speak to the ICU fellow who spoke POCUS as well as french and english – it’s not usually the case, but I’m glad to see the change. I do believe it to be a direct effect of the influence of my friend and mentor, Dr. Andre Denault, one of the POCUS deities. So she turned out to have a normal cath and a large adrenal mass. She did well on ECMO, being weaned off it today, and is now alpha-blocked and waiting for surgery, neurologically intact for all intents and purposes. A big thanks to the interventionists and the ICU team at the Montreal Heart Institute. Puts a smile on my face. don’t resuscitate without POCUS. I wouldn’t want anyone guessing with my life on the line, would you? 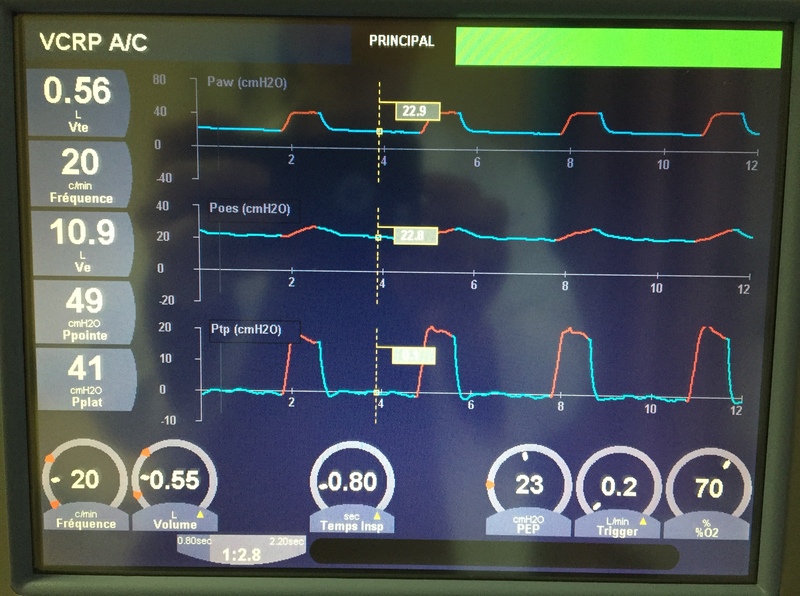 if you’re not using some form of realtime monitor of perfusion (continuous CO, SctO2, ETCO2, ScvO2) then all you’ve got is looking at the skin and mentation, so you are essentially flying blind. Lactate and urine output are not realtime in real life. get ECMO in the house, it’ll come in handy. I’m working on it. Love to hear some comments! ps I’ll try to add more ultrasound clips from this case in the next few days. 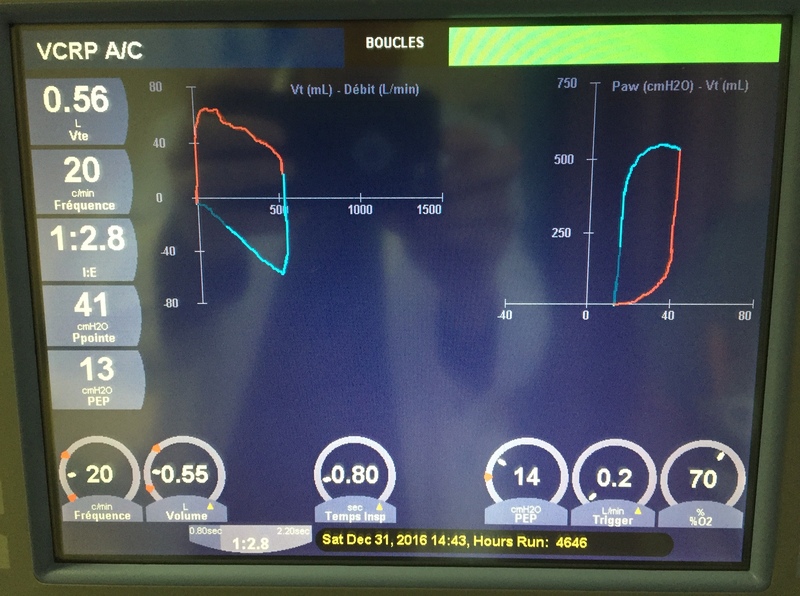 So in my last post I quickly reviewed the basics of Ptp-guided ventilation. So here is a case. 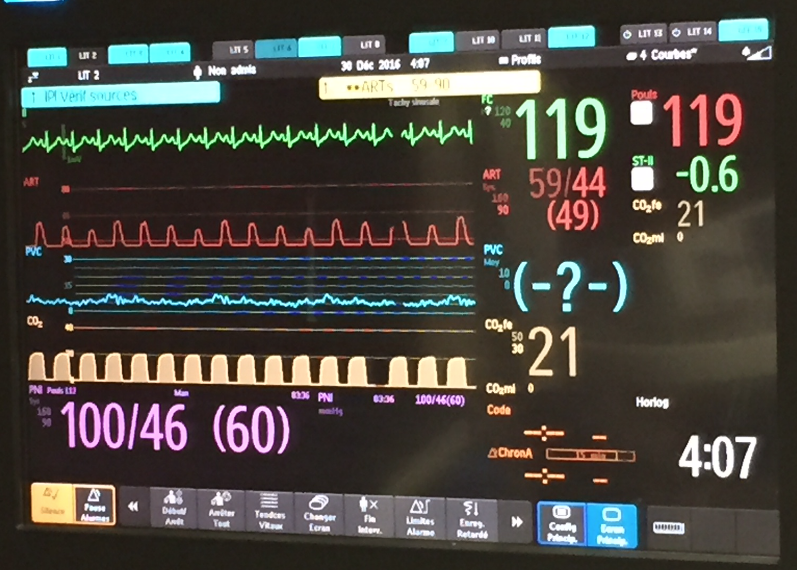 We had a woman in her 60’s admitted with bilateral pneumonia, intubated and ventilated. She is morbidly obese and diabetic. 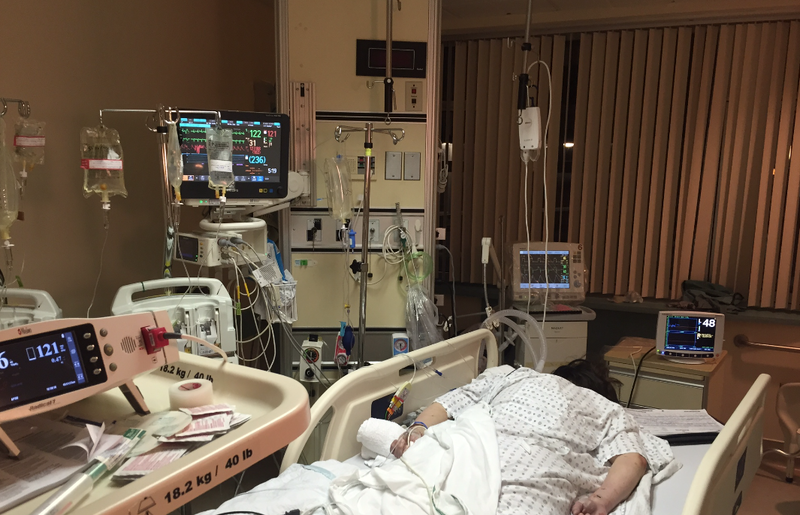 Despite antibiotics and usual care, she was getting progressively worse, and was labelled “ARDS.” POCUS showed she was not in terrible venous congestion, and she had been digressed to a relatively normal IVC. 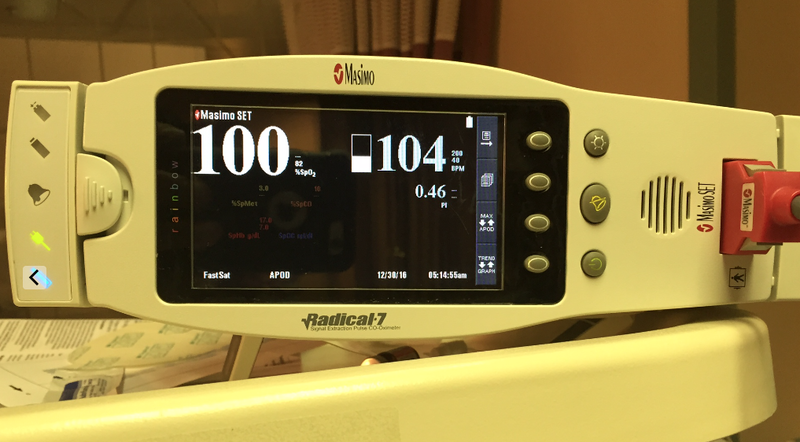 Slowly her ventilator settings crept up to a PEEP of 14 and FiO2 of 100%. As the plateau pressures were approaching 35, we were getting a little antsy, so decided to put in the esophageal balloon and get a better grip as to what was going on. Indeed Jon, that appears to be the case. So we can see that our Ptp (exp) is approaching zero, and the PV loops suggest there is still no over distension. In fact, the compliance, as Jon had predicted, improves slightly. The plateau pressures are up into the mid 40’s which, without a balloon, would be pretty concerning. But the Ptp (insp) is less worrisome, in the mid 20’s, about at the limit we’d like. At this point, still seeing that increasing compliance, we continue raising the PEEP to 23, and actually see the plateau pressures start to drop, consistent with having recruited lung. Now the Ptp (insp) is 23, and the compliances have increased. So a fair bit of her “ARDS” was actually atelectasis related to obesity and increased intra-abdominal pressure, and that what seems like exceedingly high PEEP is actually just enough to prevent atelectasis. Love to hear from others who use the technology, or just interested!